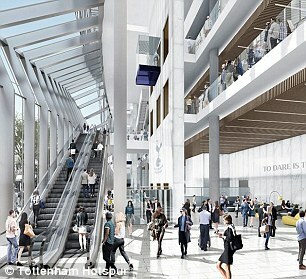 Tottenham chairman Daniel Levy wants to stage a Premier League-NFL double-header at the new White Hart Lane. 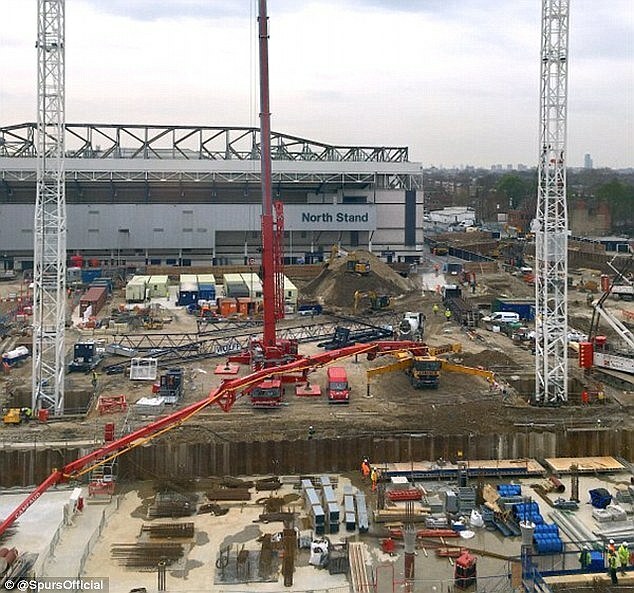 Spurs hope to have completed and be moved into the 61,000-seat ground for the start of the 2018-19 Premier League campaign. The plan host a minimum of two NFL games per year over a 10-year period has been known for a while but the double-header idea is a new concept put forward by Levy and backed by those across the Atlantic. 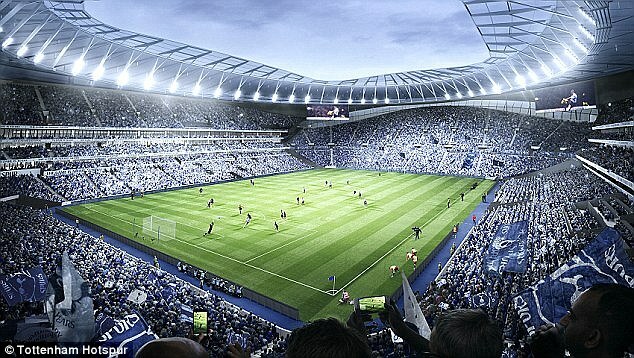 With a retractable pitch and more NFL-specific changing facilities planned for the new White Hart Lane, a double-header could be possibility logistically. However both parties accept it would not be a straightforward operation. 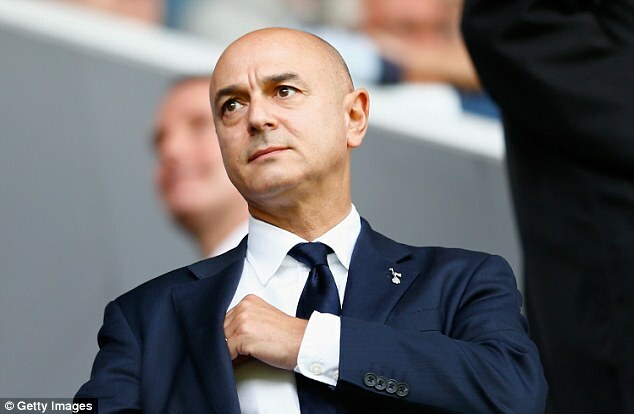 Levy is keen on the idea but would want to see Spurs bedded in first, telling the Evening Standard: ‘I don’t think it’s something we’d want to try in our first game, but that is certainly realistic. Mark Waller, NFL executive vice-president of international, added: ‘One of the idle thoughts we have at the moment is whether you would really be able to play an NFL fixture and a Premier League game on the same day as a double header. 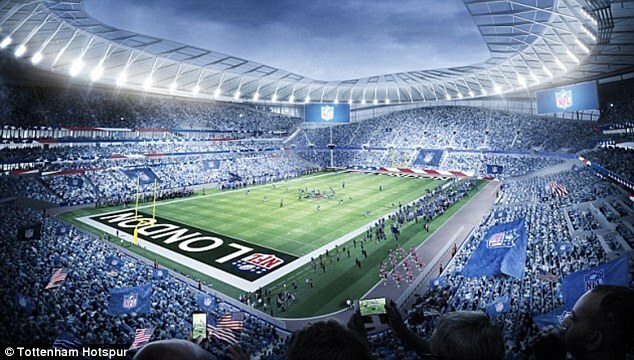 Levy is pursuing the NFL tie-up as he knows it is key in funding the £750million new stadium. 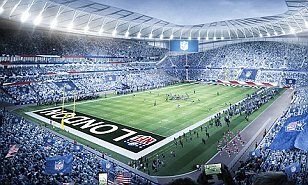 The decision to include NFL-specific facilities also puts Tottenham in a strong position to host an eventual NFL London franchise. 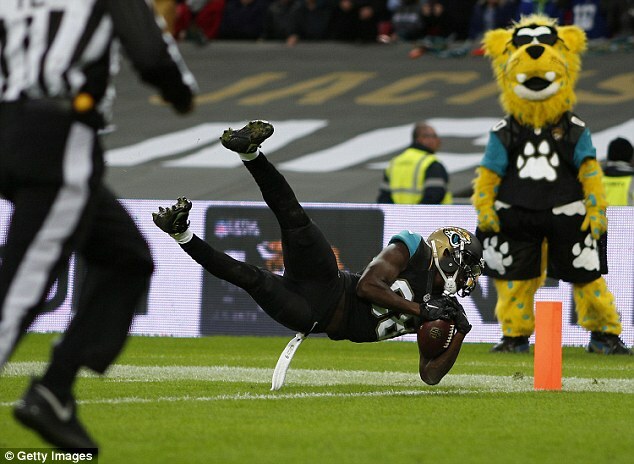 Wembley currently hosts three NFL matches per year, with Jacksonville Jaguars – the favourites to make a permanent move to the UK – committed to playing one game annually at the national stadium until 2020. Despite Wembley previously holding a monopoly on hosting the NFL International Series is thought the NFL would prefer a stadium more suited to gridiron fans. 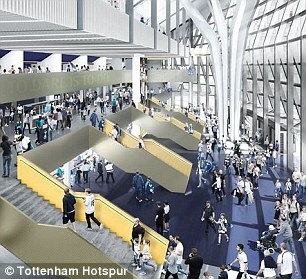 Levy told ESPN of his plans to make the new stadium as suitable for American football as possible in a bid to make Tottenham the NFL’s preferred destination. ‘We worked together,’ the Spurs chairman said, ‘because it needed to be viewed as a combined joint soccer and NFL stadium. ‘In fact, the way we designed the whole experience is one side of the stadium is a dedicated soccer entrance and the other side is a dedicated NFL entrance.